Apple Cider Vinegar | I swear by it | And for centuries it’s had a magickal reputation…one I believe it ABSOLUTELY deserves! For decades I have been drinking Apple Cider Vinegar daily. In my own mind I think of it as being good for the skin, a good alternative to caffeinated beverages. I also believe it’s beneficial because it has an alkalising effect on the body prevents me getting colds! Do I have proof? Not at all. There are publications about the benefits of ACV and of alkalising. But much of the miraculous benefits is based on anecdotal and personal (subjective) experience. Maybe it’s the world’s best placebo? But in a world where drug companies licence drugs that were out performed by sugar pills, perhaps we shouldn’t be so quick to write off the benefits of a placebo either! The dangers of the acidifying effects of the Western Diet are well proven. NutritionFacts.Org is a great place to start if you’re a sceptic in this regard. No supplement will out save you from the damage eating a Western diet does! I recommend the annual lectures NutritionFacts.Org put on their YouTube channel each year too. But back to ACV…for centuries, vinegar has been used for cleaning, disinfecting and in compresses to relief congestion or reduce inflammation. How much of this is folklore and how much based in science is massively hard to determine. Mostly because any scientific evidence is only partially useful (such as conclusions derived from animal tests not human ones). That means much of the science is dismissed as theoretical. And also means sometimes anecdotal evidence seems to trump the actual scientific research because it’s at least based on human experience! But despite this…I still swear by it! And since it tastes good and doesn’t have negative side effects, I would continue to drink it even it didn’t have benefits! Apple Cider Vinegar is not like “normal’ vinegar. It smells of vinegar but mix it with water and it tastes like apple juice. Many people swear by honey and lemon…which sounds more paletable than Vinegar I’m sure. But ACV doesn’t taste like vinegar! I particularly like Bragg’s Apple Cider Vinegar – which you can now find easily at Amazon or your local health food store – which famously includes the “mother” (explained later). And grade B maple syrup is a nice addition if you have a sweet tooth. As a folk remedy, it has been claimed to help with numerous health problems. These includes weight loss, lowering blood sugar levels, reduction of symptoms in inflammatory conditions such arthritis. The prevention colds and diseases. Clearer skin and shinier hair. Prevention of food poisoning. Even sometimes suggested as useful to prevent nausea in pregnancy and to cure stomach ulcers! That it can cure and prevent cancer. It can prevent flatulence. It can prevent headaches. 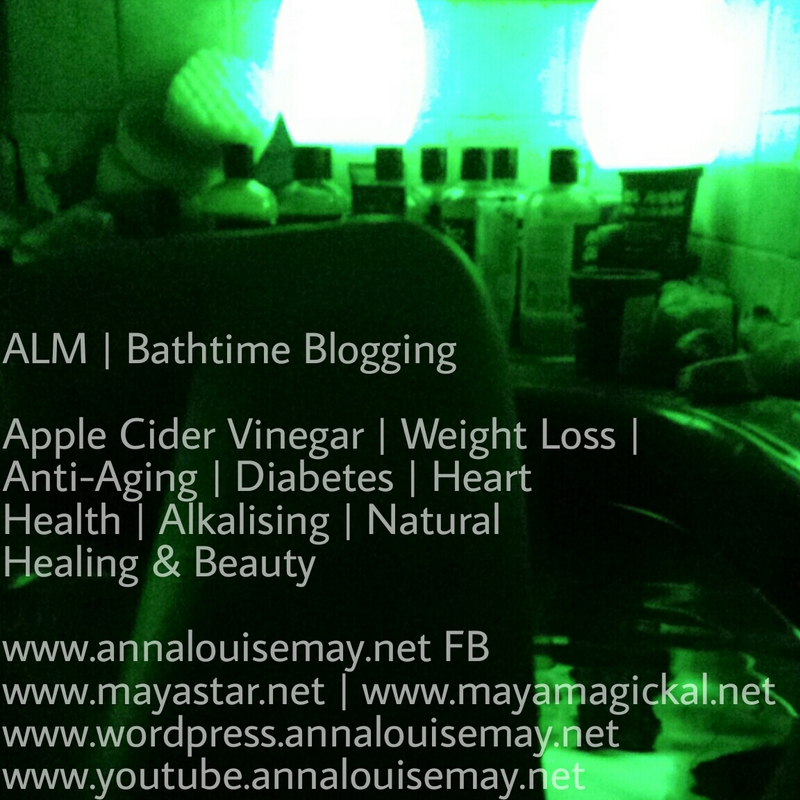 There seems no end to the claims for that magick of ACV if you do a quick google search! It’s not new. But it’s currently very much in vogue as alternative and complimentary medicines and supplements go! I did a little digging and found some interesting properties of Apple Cider Vinegar and associated health benefits that have been scientifically tested (to a point) and verified…things that may go some way to support at least some of the anecdotal claims. The following health benefits of ACV ARE supported by scientific research. Research that is not extensive or comprehensive enough to make recommendations of dosages or anything. But even so, they are very compelling! 1. ACV is high in acetic acid; this has significant biological properties. ACV is made by two processes. The first combines crushed apples with yeast. That step causes the sugar to ferment and turns the mixture into Cider – where the sugar has become alcohol. Then the addiction of bacteria enables the fermentation process to continue until the alcohol changes to acetic acid. Acetic acid is found in all vinegars and it is made the same way essentially. But here I am just talking about about ACV. Organic, unfiltered ACV (like Bragg’s) also contains “The Mother” – this is comprised of proteins, enzymes and bacteria (good bacteria) that make the product look opaque or cloudy. This is important because some believe that it is the “mother” that’s responsible for most of the benefits – but there’s no scientific proof of that. However there is scientic proof of the benefits of acetic acid. There are not many vitamins or minerals in ACV but it does contain potassium (good for your bones which aren’t only comprised of calcium!) – and potassium is an important mineral in keeping your heart beat regular. That’s why you find it isotonic drinks. There’s more to optimal hydration than pure water! Even slight dehydration can make a person feel unwell and cause all kinds of problems in the long term. 2. Acetic Acid has powerful antibacterial effects. So although it has traditionally been used for disinfecting. It has also been used to treat fungal infections (stinky feet! ), lice, warts and ear infections. Gargling with ACV and water may genuinely naturally reduce your risk of catching infections! However, science has focused on the effects of acetic acid in cleansing rather than the potential benefits of consuming it. In Victorian times it was commonly used as a beauty aid. Applied to the final rinse of your hair to increase shine. Applied to spots. Applied to the face as a kind of “toner”. It was also consumed to maintain a pale complexion. However, remember the Victorians also consumed Arsenic in small quantities to keep a pale complexion! Vinegar was used for wound cleaning by Hippocrates over two thousand years ago. And it’s likely been used widely in that capacity. We still use alcohol to kill bacteria and reduce the risk of infection. It would follow that using it on spots may well be beneficial. Vinegar was also (and still is) used as a food preservative. Now we can scientifically prove it can do more – studies show that it inhibits the growth of “bad bacteria” (like E Coli) in the food. Some drink vinegar when on holiday abroad, before meals to “protect” from food poisoning. Does that really work? We don’t know. But it does make a kind of sense! 3. ACV may lower blood sugar spikes. This is the most successful scientifically tested application of vinegar to date and especially pertinent to patients with type 2 diabetes. Type 2 diabetes is identified by elevated blood sugar, either due to insulin resistance or an inability to produce insulin. We know that in diabetes, diet can manage symptoms and sometimes heal the body – essentially reversing the condition. ACV can’t do that…but it may be helpful. Indiginous populations have extremely high rates of diabetes from consumption of refined carbohydrates (not just sugar) than those who’ve been eating it longer. We haven’t evolved to tolerate the Western diet. We consider Type 2 Diabetes an age related condition. In fact it’s unheard of in places where the main diet is a plant based vegan diet…high in veggies, low in refined carbs. Diabetes has a number of complications that can present. Excepting coma and death! Hypertension, nerve pain and blindness. It is a major cause of disability and the reduction of the health span of a person, even ignoring the reduction in lifespan. That humble ACV may help as a preventative or treatment that has NO SIDE EFFECTS is amazing. And certainly worth trying! If you are diabetic, of course, run it by your GP before you make changes. Some modern medicines preclude an increase in consumption of vinegar or reduction in the consumption or sugars without supervision…so err on the side of caution. Blood sugar spikes can also be a problem in people who don’t have diabetes. These fluctuations are known to affect mood, can cause insomnia and even increase seizure risk in epilepsy. Blood sugar fluctuations are also a cause of aging and a precursor to many chronic diseases we have come to associate with age. Vinegar improves insulin sensitivity during a high-carb meal (in some tests by up to 34%), which significantly lowers blood sugar levels and our response to insulin. Insulin is the hormone we need for our body to make use of the food we eat. The body literally starves if we don’t make it and similarly the body goes hungry if our body becomes resistant to insulin. 4. Some studies have shown that ACV facilitates weightloss. Given the benefits outlined in number 3, the mechanism for this may be better understood. Several studies suggest that vinegar can increase your sense of fullness, helping you eat fewer calories. In studies, consuming vinegar once a day with a high-carb meal increased feelings of fullness and people ate 200-275 fewer calories for the rest of the day. In context, eating 200 calories less each day in a year equates to about 20lbs in weight! 5. ACV has beneficial effects on the heart. Cardiovascular disease (heart disease and stroke) is currently the world’s biggest cause of death and disability. Studies showed that ACV can reduce both cholesterol and triglyceride levels. It may also contain the antioxidant which has been shown to protect bad cholesterol particles from becoming oxidised. As I said…the research is lacking. It proves some things…and theorises others. It definitely needs more investigation! Heart health is a essential for a healthy complexion and it may be where this folk medicine idea originated. The heart when healthy carries oxygen around the body. If it isn’t doing that properly all kinds of problems show up before the heart attack. Erectile dysfunction. Atrophied brain. Back ache due to nerve pain. All part of the same disease. Scientifically ACV reduced contributory factors to heart disease. As well as reducing blood pressure. That implicates it in potential benefits for many conditions that arise from heart disease…conditions that may show up long before you know you have heart disease. 6. Perhaps the most hyped benefit of ACV is that it protect against the uncontrolled growth of cells which is the cause of cancer. There are some outlandish claims online about the anti-cancer effects of ACV. Diet and exercise are always going to trump any treatment in the prevention and treatment of MOST cancers. Most cancers are related to lifestyle to some extent. But not all. Some studies have shown ACV may kill cancer cells and shrink tumours. But more research needs to be done before anyone can claim it is a CURE. The same goes for Essiac Tea & Cannabis Oil. As with all the studies showing the benefits, the ACV ones are too limited at the moment to be genuinely conclusive. And not all tumours respond to the same treatments. Some vanish on a vegan diet for example. Some don’t. We don’t actually know how many cancers spontaneously heal without intervention. We know some do though! The main cause of cancer development is damage to the DNA which can be exacerbated by a number of lifestyle choices. So if you want to reduce your cancer risk, I would recommend looking at your diet and exercise programme before you decide to rely on vinegar! But with the health benefits it indicates in studies, it’s a bonus if it does have any anti carcinogenic properties. From the limited evidence & few studies, I stand by my own anecdotal assertion that ACV may be useful in health maintenance, Anti-Aging and disease prevention. It is made an excellent option for some self testing because it tastes great and doesn’t have side effects!